In 2001 my family inherited an old album from my Father's aunt, Tone. 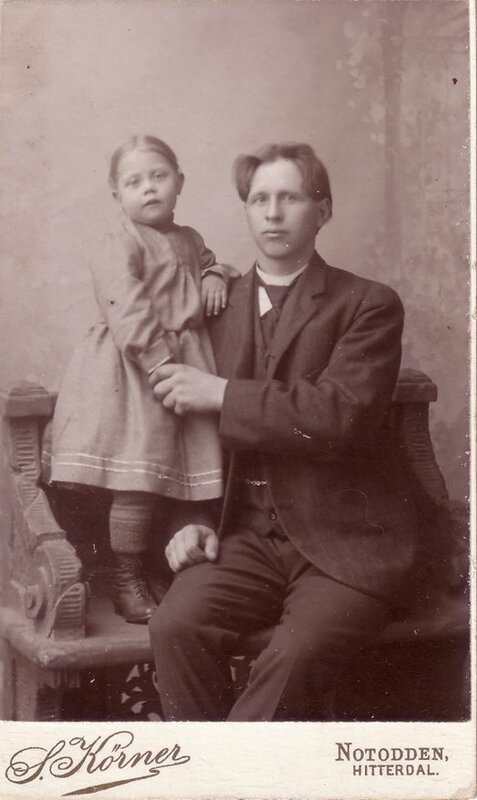 Tone's aunt, Ingeborg Olsdatter Hagen, or Inga Engrave / Bowe, had sent the album from "over there" to her sister in Heddal in Telemark county in Norway, Anne Olsdatter Hagen, married name Haugen. The problem is: I do not know every person on these pictures. 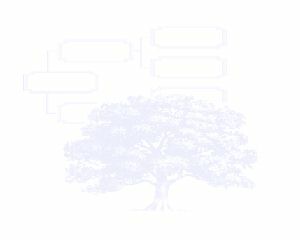 Do you know any of these people? 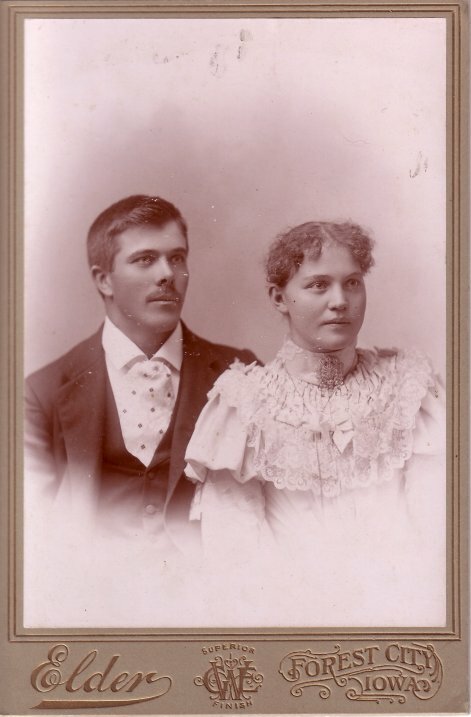 One handsome couple, Christ Peterson and Gunhild (Julia) Hagen on their wedding day. Gunhild changed her name to Julia in the USA. Picture taken at Elder, Forest City, Iowa. A nice little baby girl, but who is she? Picture taken at Elder, Forest city, Iowa. 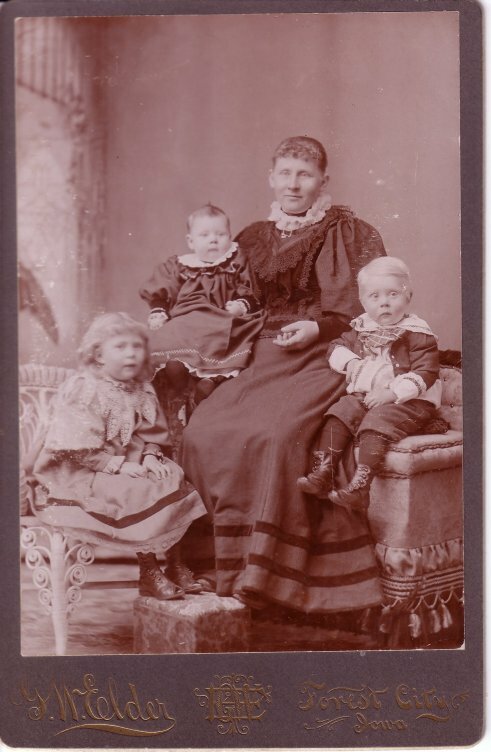 I guess that this is Ingeborg O. Hagen or Inga Engrave as she called herself in the USA with three of her children. Who are the children? Picture taken at Elder, Forest city, Iowa. Maybe one of the Hagen-girls with children? Is it maybe Thore (Thora Johnson)? On the backside of this picture it is written Alla Amelia. 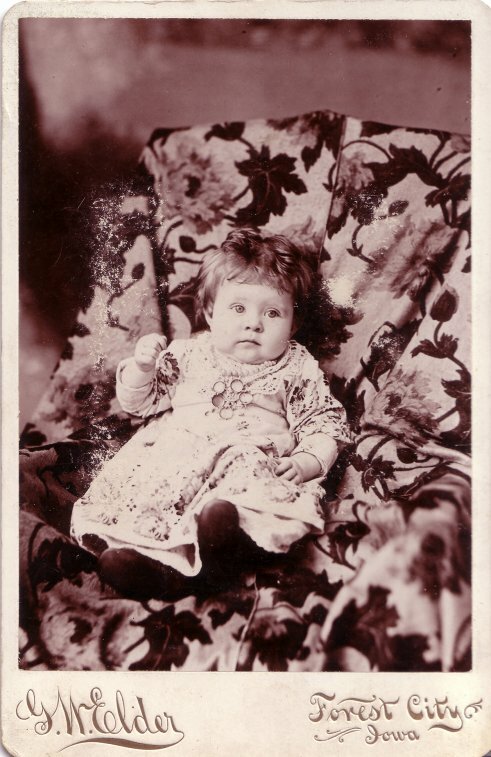 Maybe this is Matilda Amelia Engrave, who married Donald A. Dancer? As far as I have found out, she was identic to Tillie or Tilda. Anyone who knows this lovely girl? 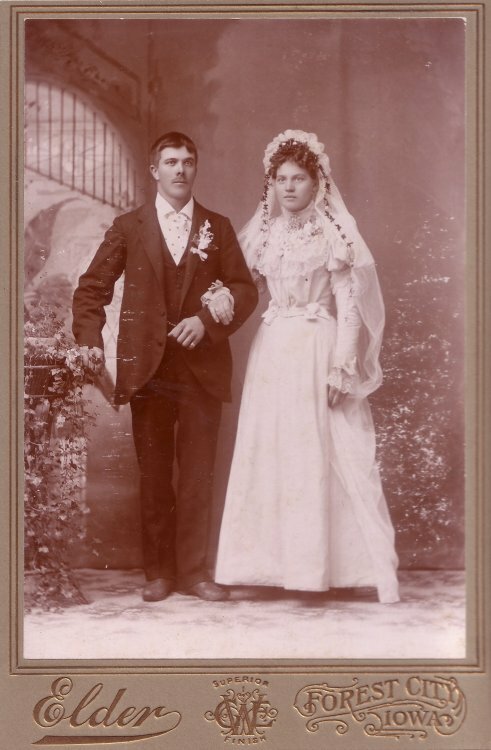 On the backside of this picture it is written "Halvor Engrav no change to go with" Maybe this is Ingeborg as a bride at the right? It is a cross over the right womans head. 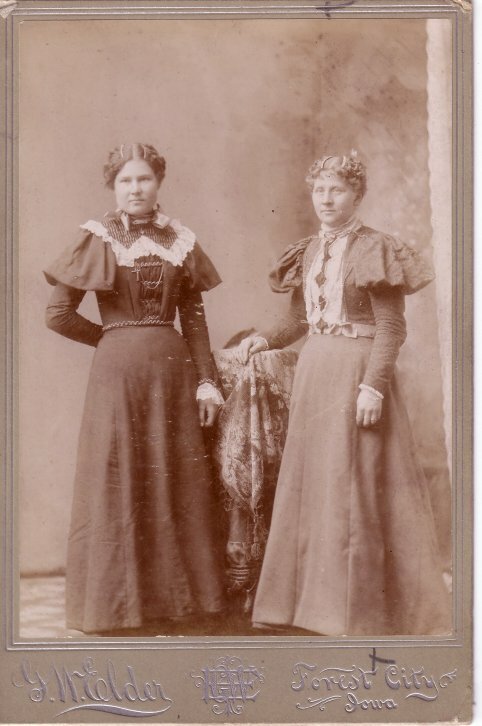 If the right one is Ingeborg, who is the woman at the left? Picture taken at Elder, Forest city, Iowa. 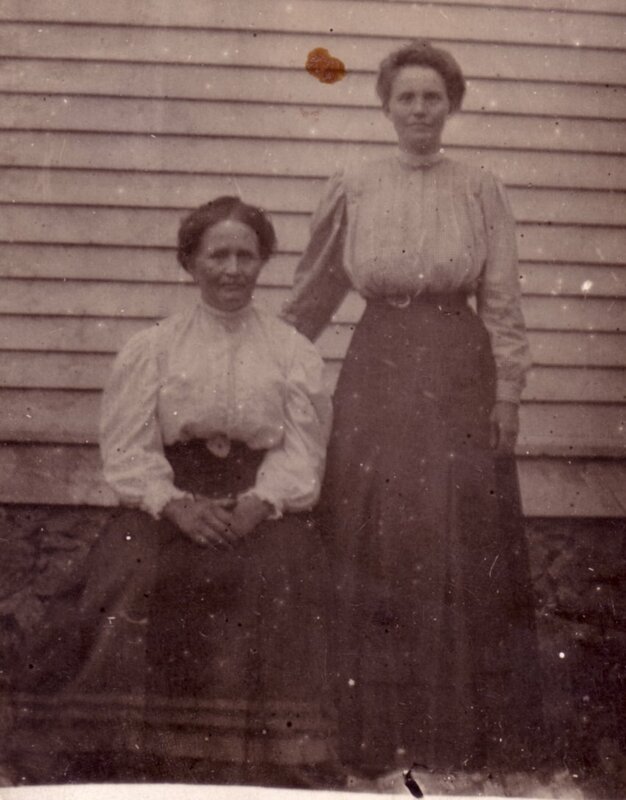 I am pretty sure that this is Kristen O. Hagen at the left, and on the right it is Gunhild (Julia) (Kristen returned to Norway a few years after 1900) He lived in Heddal for the rest of his life. He is buried at Heddal graveyard. Picture taken at Elder, Forest city, Iowa. This shall be Sveinung Johnsen Brukaas. His name is written in pencil on the backside. Anybody who knows something about him? 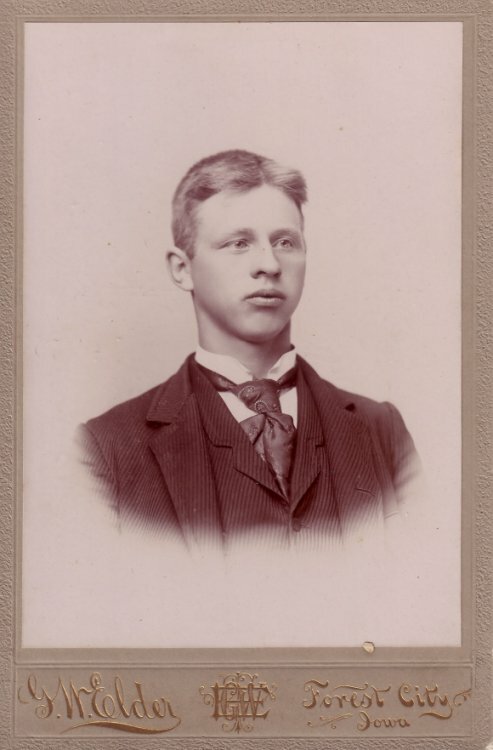 Sveinung was married to Thore O. Hagen. Picture taken at Juve, Merrill, Wis. It is also printed Knutsen on it. 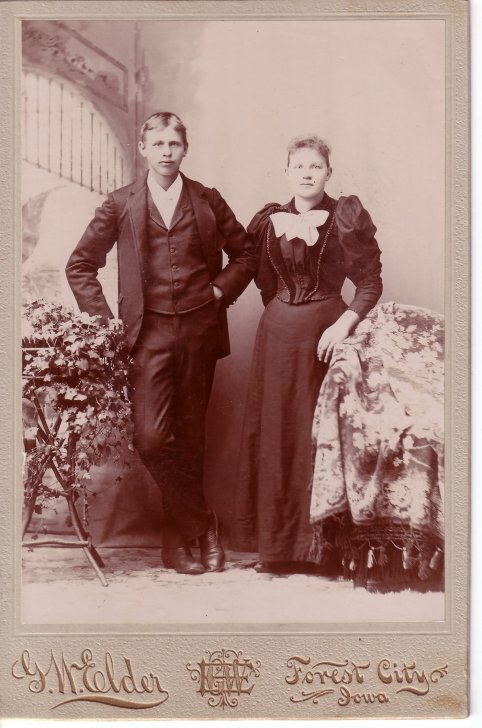 This must be Sveinung and Thore Johnson their family. I 'd like to know who all the children are. Earlier I beoieved it was Ingeborg and Halvor, but now I am more convinced it must be Sveinung and Thore. 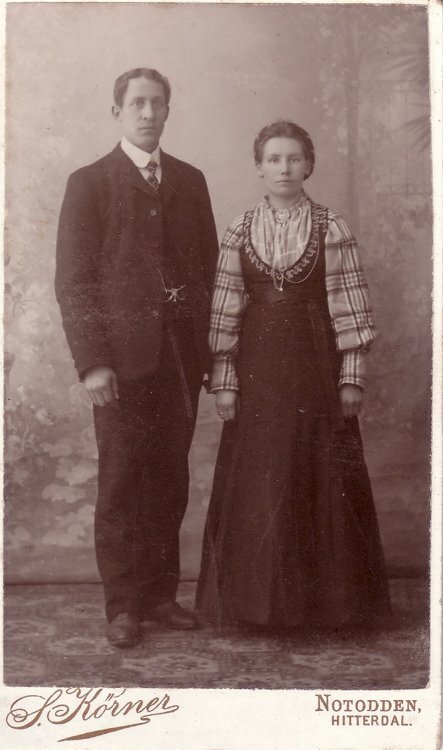 (Sam Johnson and wife Thora) Picture taken at Elder, Forest city, Iowa. 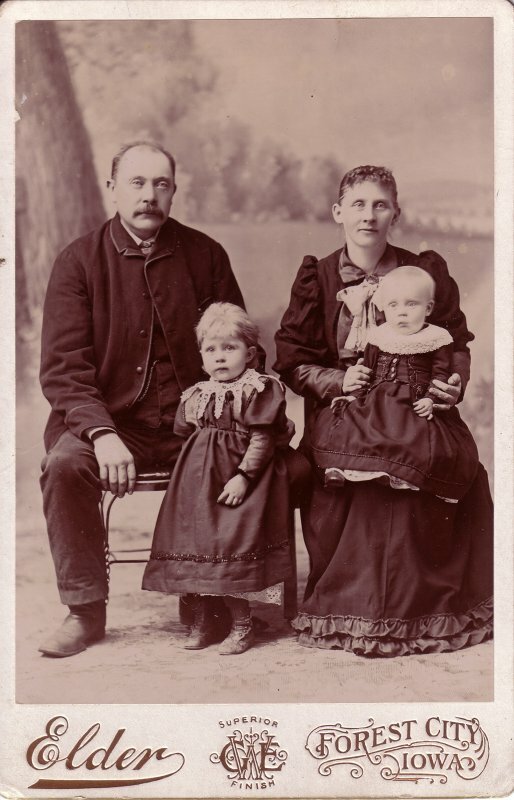 This must be Halvor and Ingeborg Enggrav (Halvor and Inga Engrave) with two of their oldest children. Is there anyone who knows them? Piture taken at Elder, Forest city, Iowa. Here is two young woman, the woman on the left could be the same woman as the one at the picture over, together with Kristen. Anybody who knows them? This is Kristen O. Hagen. He was in America for ca. 10 years. 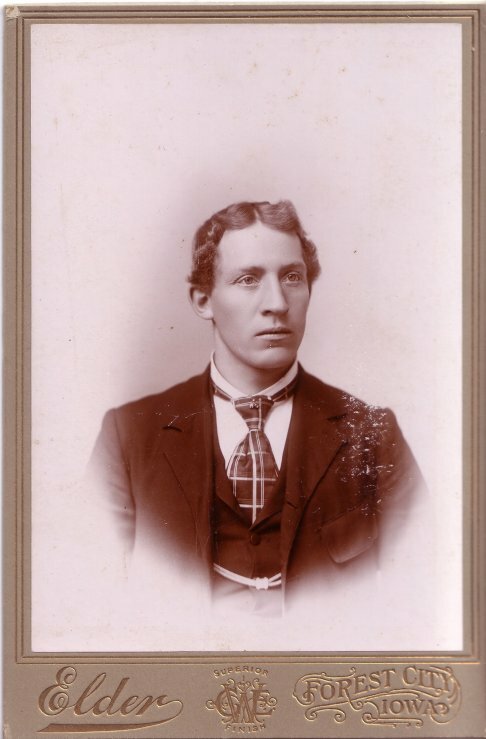 He emigrated from Norway in 1893 together with his mother and brother Ola. Picture taken at Elder, Forest city, Iowa. 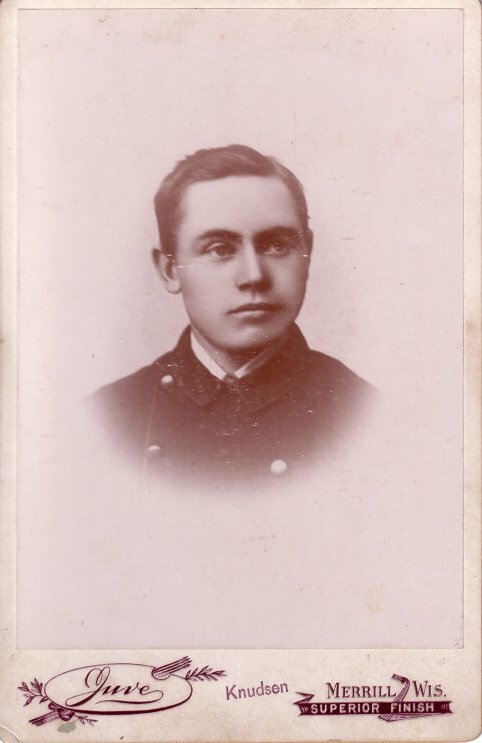 This is Halvor O. Hagen. He stayed in the USA for some years, I don't know how many. I guess it was between 12 and 15 years. He emigrated in 1892, together with his sister Ingeborg (Inga) He returned to Heddal, Norway, and he is buried at Heddal graveyard. Picture taken at Elder, Forest city, Iowa. 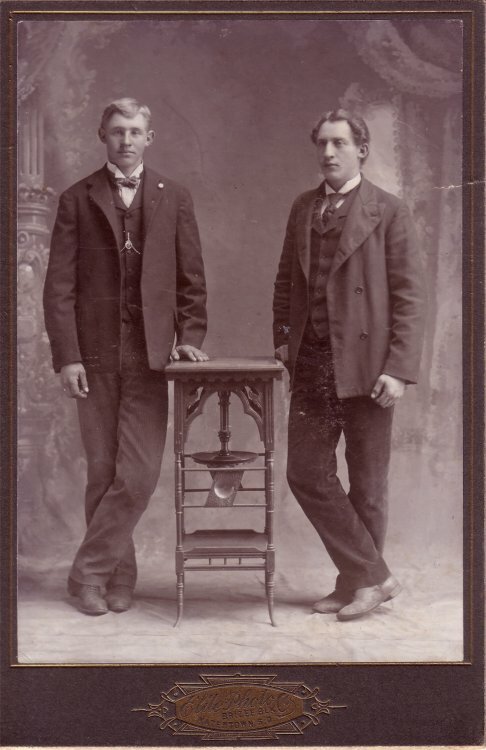 The brothers Ola (Ole) O. and Halvor O. Hagen in the USA. 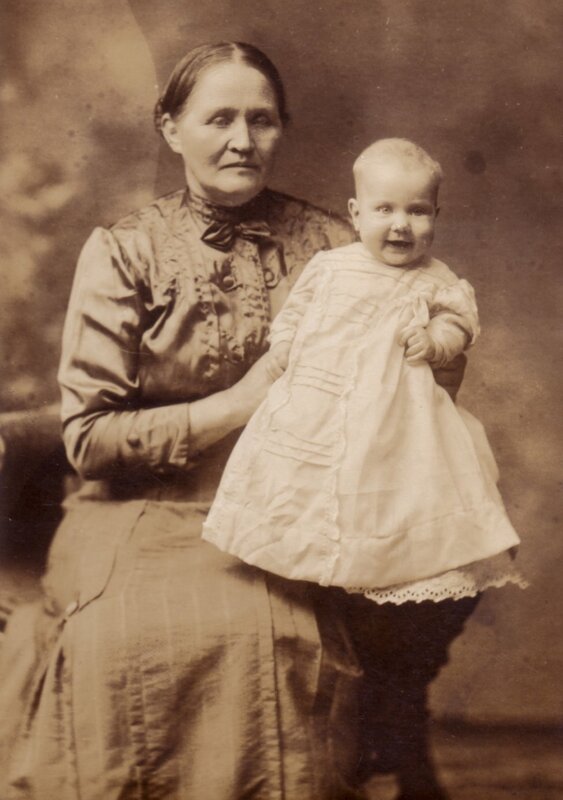 Picture taken at Elite Photo co., Brizee blk, Watertown, South Dakota. 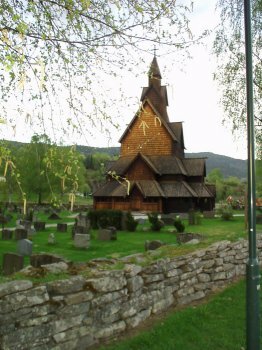 Ola and Halvor went back to Heddal, Norway, and lived there until their death. They are buried at Heddal graveyard. 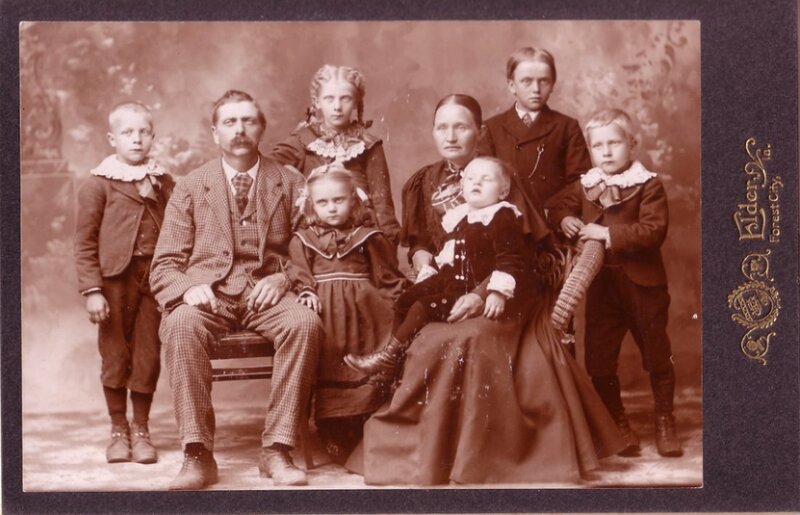 The Hagen family when they all had arrived safely in the USA. 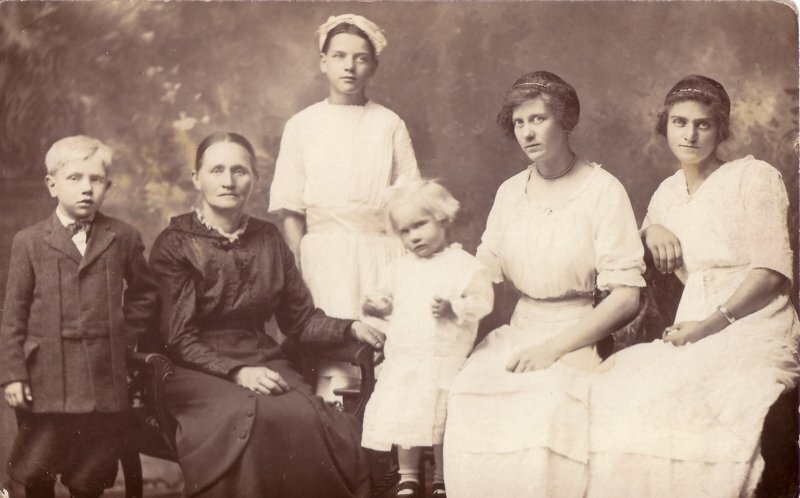 Ingeborg and Thora are not present at the picture, they ahd their own families already. Back row from the left: Ola, Gunhild (Julia), Halvor and Kristen. Front row from the left: Ole Kr. Hagen, Tone Halvorsdtr., Anne Halvorsdtr., Gunhild Halvorsdtr. 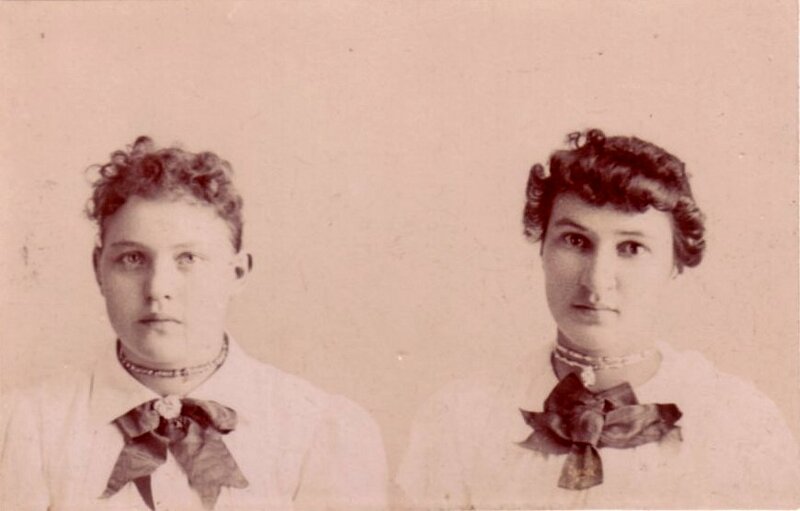 Tone and Gunhild were daughters of Ingeborg (Inga) who came to the USA with their grandmother, Anne. Picture taken at Elder, Forest city, Iowa. Picture belongs to DeAnn Ambroson, Iowa. 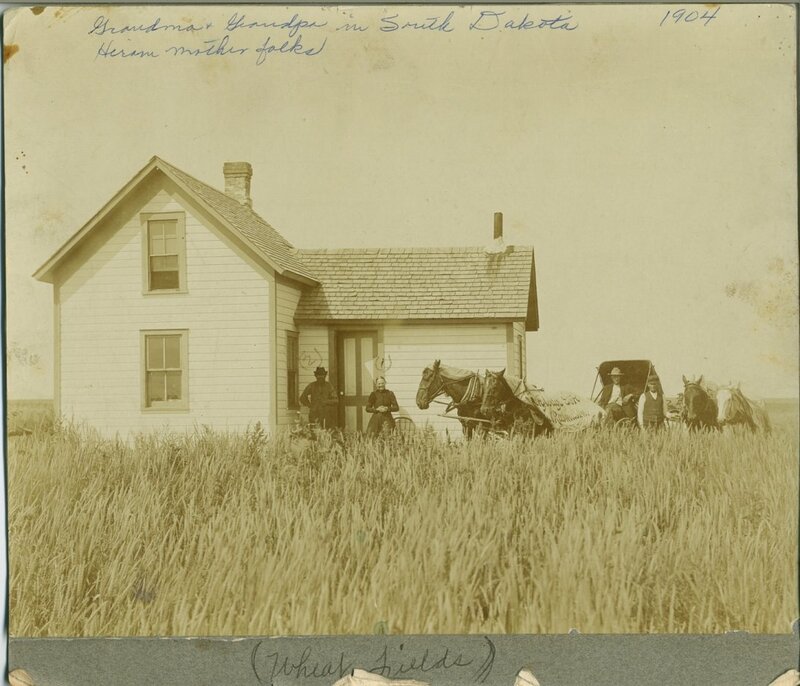 The farm that Ole and Anne built in South Dakota. It is written in hand: 1904. Firstly Anne and Ole stayed in Opwa, but later they built a fram in South Dakota. Picture belongs to DeAnn Ambroson, Iowa. 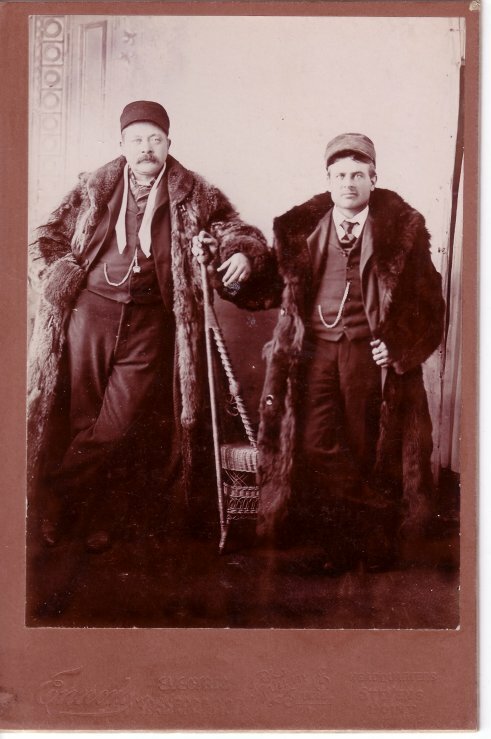 This is some of the Hagen-men in Watertown, SD. 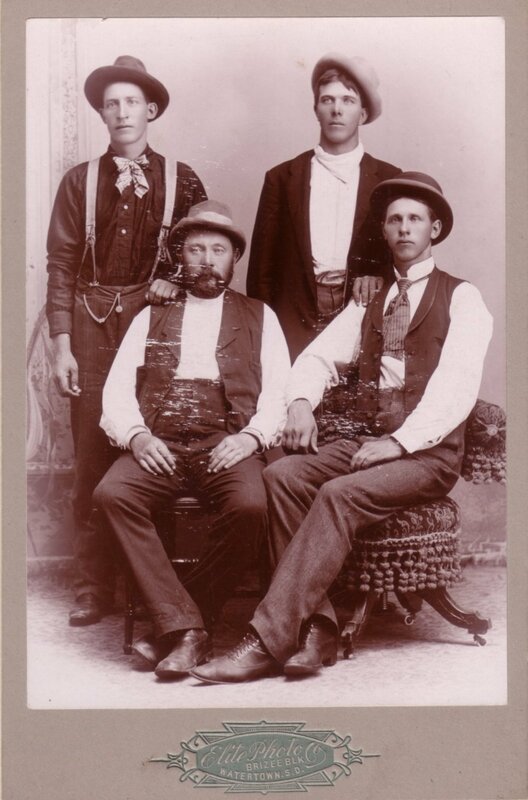 Back from the left: Halvor O. Hagen and Christ Peterson, Gunhild's (Julia's husband) In front from the left: Ole Kr. 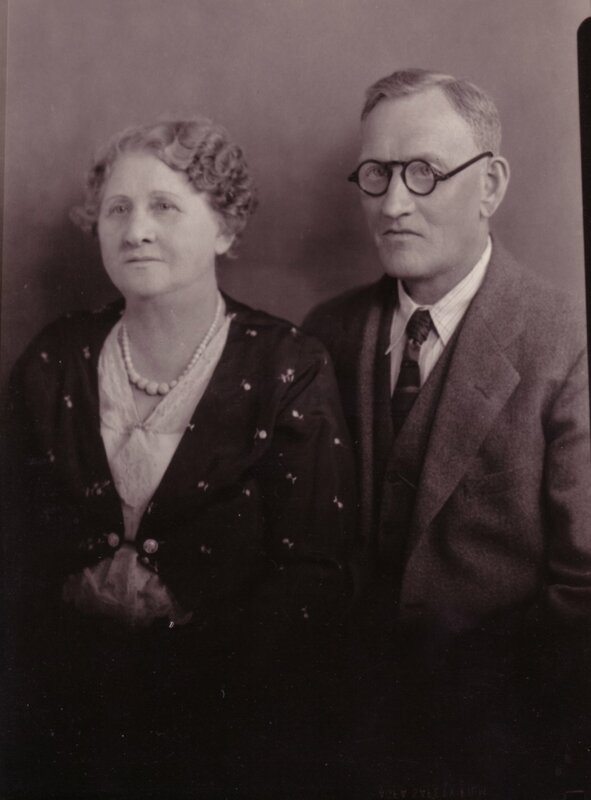 Hagen and Kristen O. Hagen. On the backside it is written: "Lilain Viola, isn't she big for her age?" "To grandma and grandpa"
This photo was sent home to Norway. It shows Thore (Thora) and Gunhild (Julia) Thora is the one sitting, and Julia is standing. 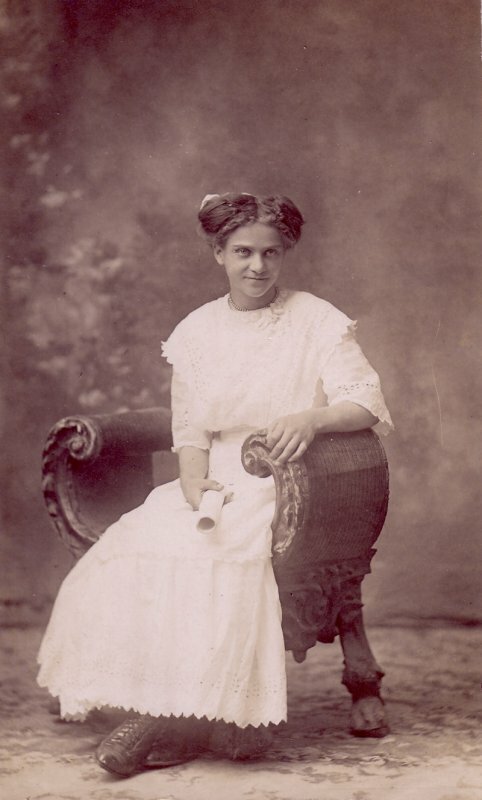 Ingeborg O. Hagen or Inga Bowe, as her name was after she married Herman Bowe, with her second husband, Herman Andrew Bowe. The picture was taken in Tivoli Studio, Los Angeles.According to the California Death Index, Ingeborg died in Los Angeles, 1949.